Orders are placed with our distributors once monthly. Monthly order deadlines are emailed to all members & also posted on the website. Place your order with us by email or from the website (phone or drop off orders ONLY if no email available). Include brand, name of food blend, size (example: Wellness Core Ocean 26#). Your order will be ready for pickup by 4 pm the Tuesday afternoon of the week following the order deadline. All orders should be picked up within a week to 10 days. All orders must be picked up by the monthly deadlines. Following is a list of the foods we currently offer. Click on the name to view the manufacturers website for more information about each food. Please email for pricing. It's not possible to supply a complete online price list at this time. Don't forget your feline friends: CAT FOODS MAY BE ORDERED AS WELL! Don't see the food you want? additional distributors and let you know when it becomes available through our food club. PICKUP FROM 4:00 pm Tues 4/23/19 THROUGH noon on Sat 5/4. If you purchase frozen product, pickup should be by noon on Sat 4/27 please. The next order will be in 4 weeks (early due to Memorial Day) so that you can plan your order accordingly! GREAT FOOD FOR YOUR DOG & GREAT SAVINGS FOR YOU!!! Why? 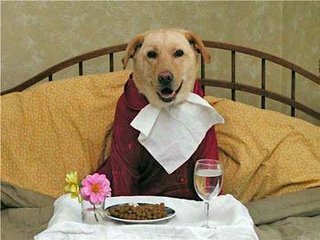 We’d love to see all dogs eating the very best quality foods that their people can afford. We are able offer foods at an average savings of 5%-15% off of standard retail pricing because by ordering for the individual we don’t tie up a lot of capital in inventory. This allows us to pass this savings on to our club members. When ordering or checking prices, please be precise. In addition to the brand name, please take the full description right from the food package to make sure that we’re ordering the right thing and don’t forget to specify size. Our distributor charges a restocking fee which will be your responsibility should you order the wrong food. OUR FOOD OFFERINGS INCLUDE SEVERAL BRANDS OF RAW FROZEN FOOD AS WELL! Check out the following excellent video if you need help in selecting a food for your pet! Make sure to click on the link to part 2 once you finish part 1.